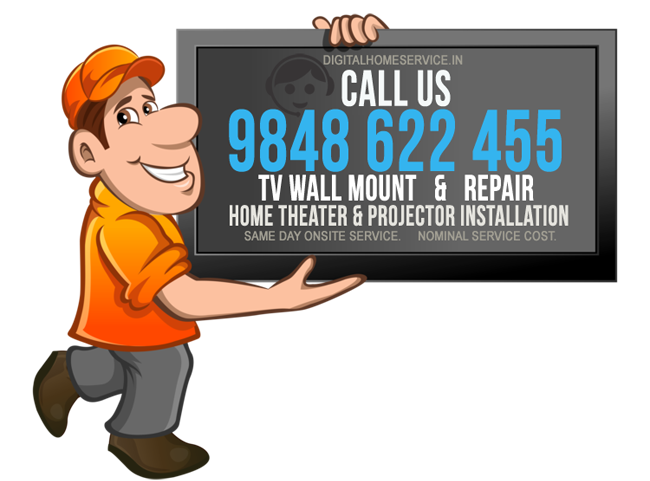 If you are looking for Projector installation service call Digital Home Service to serve your need. We are specialized in installing at every possible locations of either hanging/fixing or Rear projection. The Projector installation service include options for a Ceiling Mount installation, a Projector Screen Installation, Wiring and Cabling. Site survey is prerequisite to design a plan for a perfect installation. This includes physical review of the proposed location for installation to ensure all environments and technical requirements have been met. Any outstanding issues are documented in a Site Survey and communicated to the appropriate customer prior to installation. 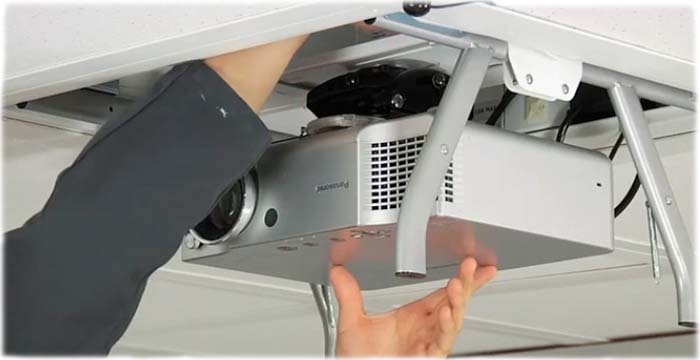 We offer a projector installation service to ensure your equipment is installed in a professional manner by hiding cables and get a perfect project on the screen. *We do not belong to any projector company/ affiliated service providers, We are third party service providers, charge reasonable amount for the installation, which are communicated before installation.